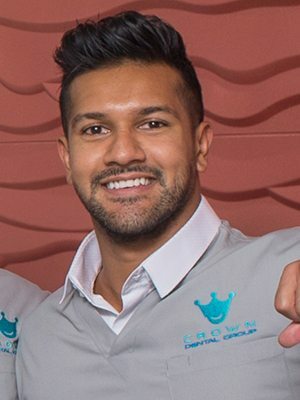 Crown Dental Group is a brand-new facility where dentist Ali Abbasbhai and dental prosthetist Mr Levent Ibrahim work together to provide you with modern, state-of-the-art dental care. Our range of dental services include prosthetics, cosmetic, general and implant dentistry. Many of our patients travel a great distance to receive our unparalleled care, with everything they need located under one roof. We pride ourselves on our caring team’s ability to form long-term, safe, honest and respectful relationships with people, providing treatment of the highest quality. Our dental laboratory is located on-site, making the creation of dental devices quick and convenient for you. Whether you seek to create the smile of your dreams, improve the condition of your teeth or just want a regular checkup, we’re ready to present you with solutions that suit your needs. We use the latest in advanced technology to provide you with up-to-date dentistry. Our top-of-the-line equipment from Germany ensures that you benefit from the latest in dental technology. A strong focus on tooth replacement means that if you’ve had trauma, suffered from bone loss or simply want to have the full look and function of your teeth, we have several options to choose from. Different types of dentures, bridges, dental implants and more can be comfortably fitted to you and created in our laboratory by our expert technicians. Insurance is accepted and flexible payment plans are available. The Crown Dental Group team offers you superior dentistry and puts your comfort, safety and health first at all times. We’re passionate about our work and have many years of combined experience in providing many dental services. Learn a little more about us! A strong desire to help others led Ali to dentistry. He loves being able to interact with people from different walks of life on a daily basis. Dental care, particularly cosmetic work, is an artistic passion of Ali’s and he enjoys reconstructing a smile or giving his patients a new look. Ali has a strong focus on patient understanding and comfort. He strives to work closely with each and every patient, helping to make their dental experience an enjoyable one. Levent began his career in the dental industry as a dental technician and dental business owner, managing a dental laboratory. 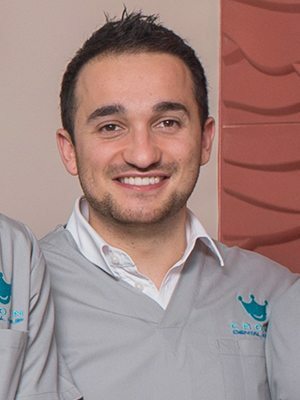 Levent was passionate about helping people and knew he could make a real difference for dental patients by becoming a dental prosthetist. Levent is fascinated by how advancements in technology are always improving dental experiences, and uses high quality and innovative materials, technology and processes when designing dentures for his patients. Nazneen is a vibrant enthusiastic dentist who has a very gentle and nurturing approach. She loves working with children, especially being a mum of two beautiful girls. She has a fantastic sense of humour and takes pride in forming great relationships with all her patients. In her spare time, she enjoys cooking, reading, running a food business with her husband. Nazneen is a member of the ADA (Australian dental association). Mr Dragan began his career owning and running his own successful denture clinic. He has over 20 years of experience as a dental prosthetist. His energy, warm nature and sense of humour are what make him very popular with all patients! He prides himself on giving his patients the best dental treatment and experience possible. In his spare time Mr Dragan is a keen fitness enthusiast, enjoys classical cars, and his family time being a husband and father to 3 beautiful children. Mr Dragan is a member of the ADPA (Australian Dental Prosthetists Association). 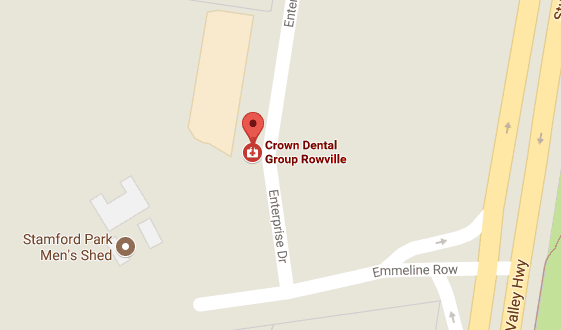 Why Choose Crown Dental Group as your Rowville Dentist? The team at Crown Dental Group are your experienced dental professionals in Rowville, Melbourne. For more information about our range of treatments or to book an appointment to discuss the right solution for you, please contact us.